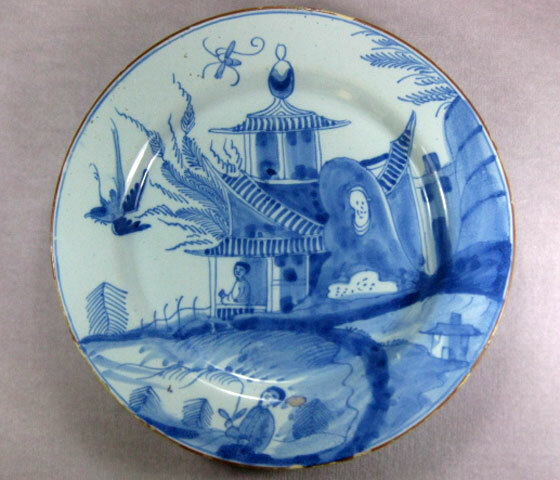 S2609: An English Delft plate boldly painted with Chinese figures in a garden and pavilion. Reddish brown edge. 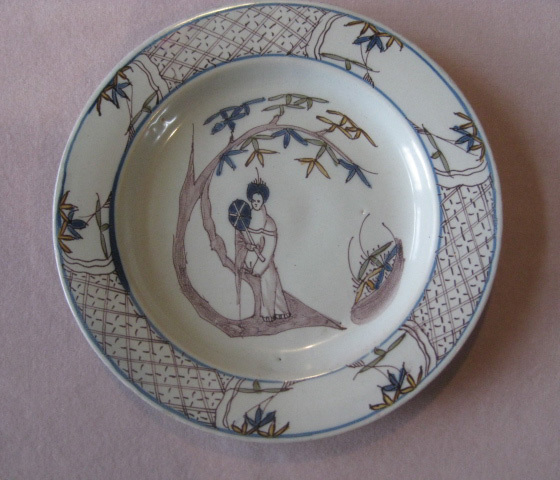 S2714 An English Delft polychrome plate painted with a Chinese lady holding a fan under a bamboo tree with alternating panels of diaper and bamboo to be flange. 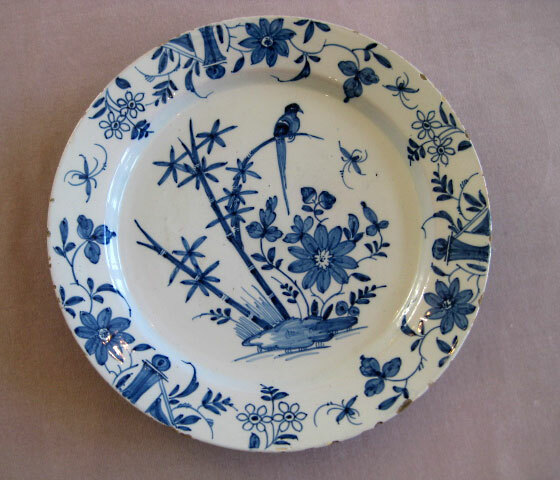 S2506: An English delft large dish clearly painted with a bird sitting on a bamboo bush and with an insect and flowers. 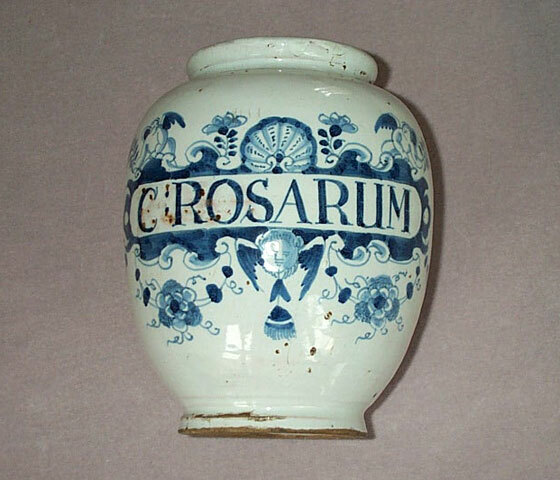 Insects and flowers to the border and painted decoration to the back. 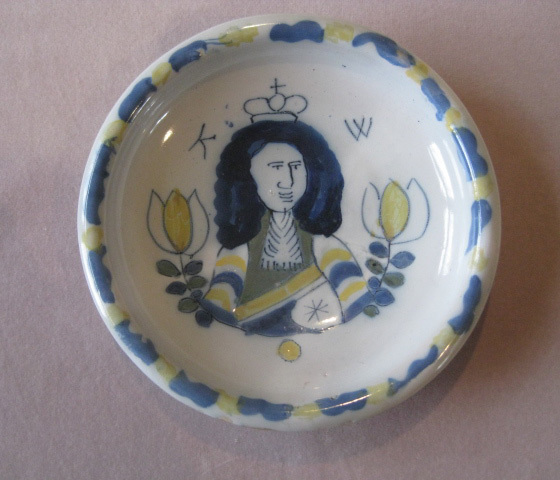 S2715 A Dutch Delft swallow bowl painted in blues , yellow and green with a half portrait of King William of Orange between two tulips and with a blue and yellow dash border. 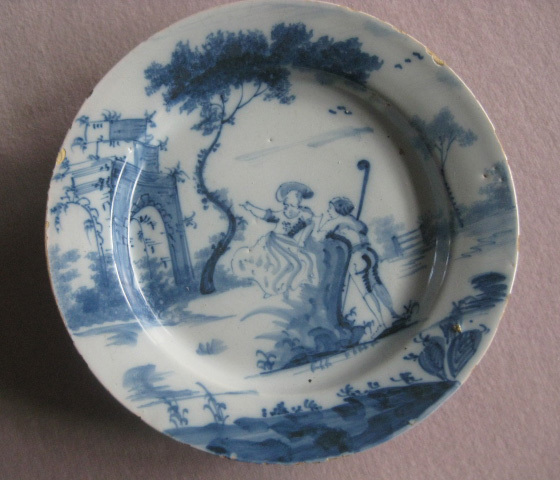 S2719: An English Delft plate painted with a shepherd and shepherdess in landscape. 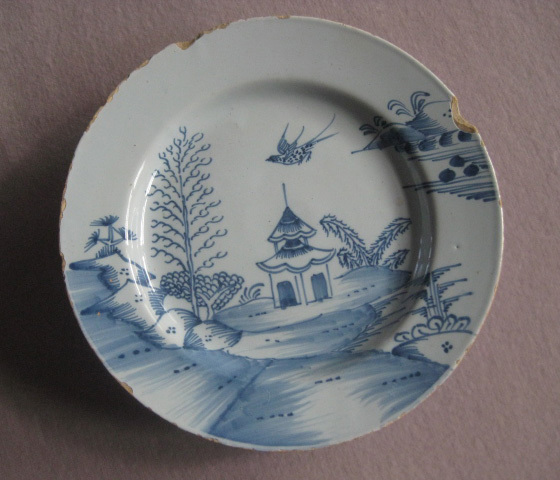 S2717 An English delft plate painted with a pagoda in landscape and a spotted flying bird. 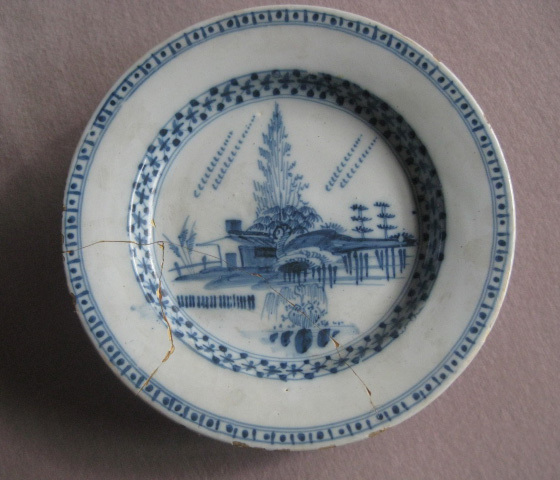 S2718 An English delft plate painted with an Oriental landscape with a house and trees within a geometric border.